The Federal Reserve plans to publish the names of companies that received a total of $3.3 trillion in emergency aid during the financial crisis. 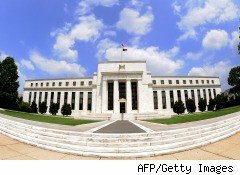 The Fed will publish the names on its website at 12 noon ET, Bloomberg News reported. The information will span six different loan programs, currency swaps with other central banks, the purchases of mortgage-backed securities and rescue packages for Bear Stearns and American International Group (AIG). The Fed has come under increasing scrutiny since it played an active role in the financial crisis, providing emergency aid to banks and buying up illiquid assets. Last month, many Republicans criticized the central bank for its decision to pump $600 billion into the U.S. economy via asset purchases. Republican lawmakers and economists warned the move could lead to inflation. "It is quite conceivable it is going to stir up the political pot," Ward McCarthy, chief financial economist at Jefferies & Co. Inc. told Bloomberg News. "But political criticism isn't going to prevent them from doing what they need to do. An important part of being a Fed official is to understand whatever you do is going to come under scrutiny." Congress ordered the Fed to publish the information, but excluded information about which banks accessed Fed fund through the discount window. A group of banks is appealing to the Supreme Court over lower-court decisions that ordered the Fed to make the information available. "We see this not as the end of a process but really a significant step forward in opening the veil of secrecy that exists in one of the most powerful agencies in government," Senator Bernard Sanders, the Vermont Independent who wrote the provision on Fed disclosure, said Nov. 17.